Luxurious beds go outside box springs and show what dreams are made of. 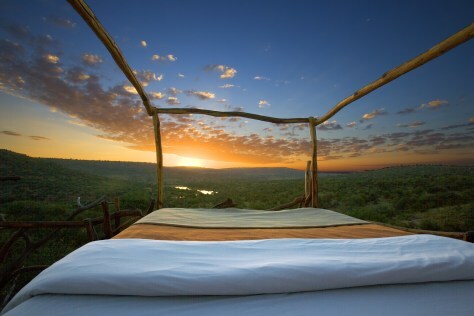 Leave your teddy bear at home in favor of some real wildlife at Loisaba Wilderness, a 61,000-acre private resort located just off the equator in Northern Laikipia, Kenya. 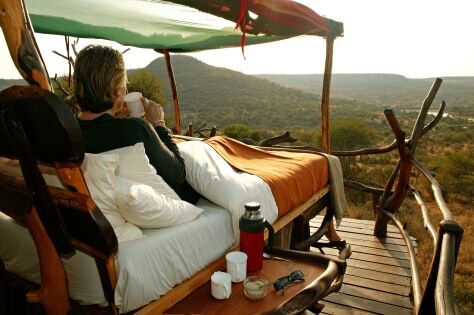 Bunk down in a four-poster, mosquito-netted Star Bed on a raised, open-air deck. Each guest room on the 88th floor of the Park Hyatt Shanghai boasts the highest hotel bed in the world — and the view to prove it. Talk about bragging rights. Despite its metropolitan milieu, The Benjamin takes sleep seriously — and wants guests to feel at home ... assuming your home offers drool-worthy 400-plus-thread-count Egyptian linens by Anichini and a down comforter with triple sheeting. Pillow selection at the Benjamin Hotel, NY. Grand Deluxe Suite at the Peninsula Chicago is your best bet for unparalleled views of the Midwest's megalopolis and master-of-the-universe sleep technology. When nowhere is far enough away, book a deluxe room at Uma Paro in remote Paro, Bhutan, for views of the dramatic Himalayan mountain-scape from a luxurious, decidedly un-monk-ish bed. 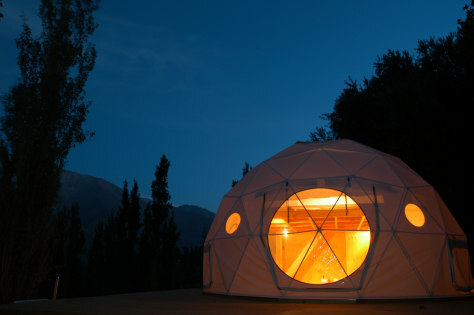 The geodesic domes at Elqui Domos in Chile are designed specifically for stargazing from bed, in one of the world's few astronomy-themed hotels.